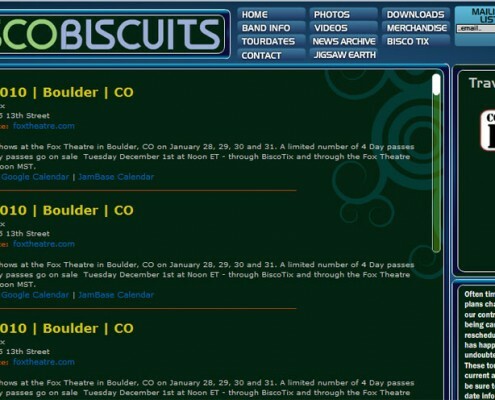 The Disco Biscuits have been a touring act since the late 90’s. 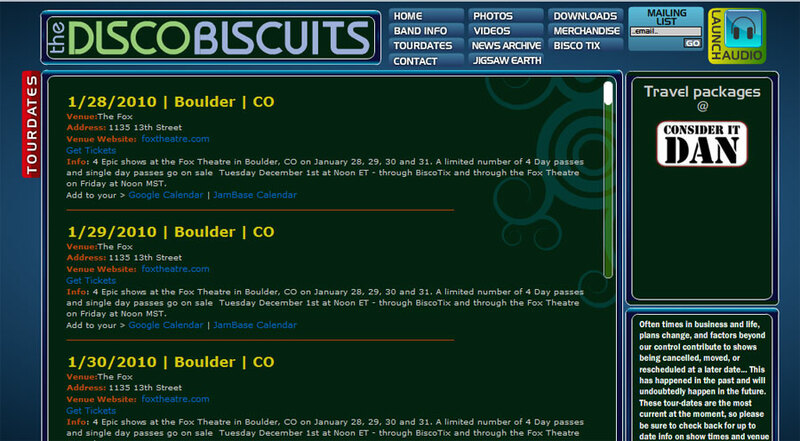 They still draw sold out shows across the country. 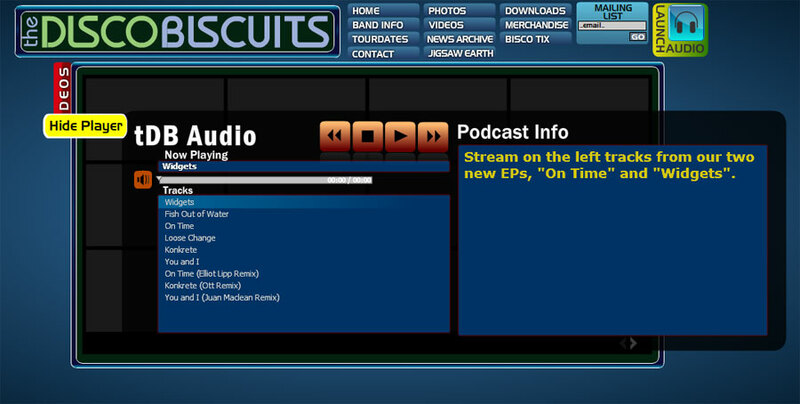 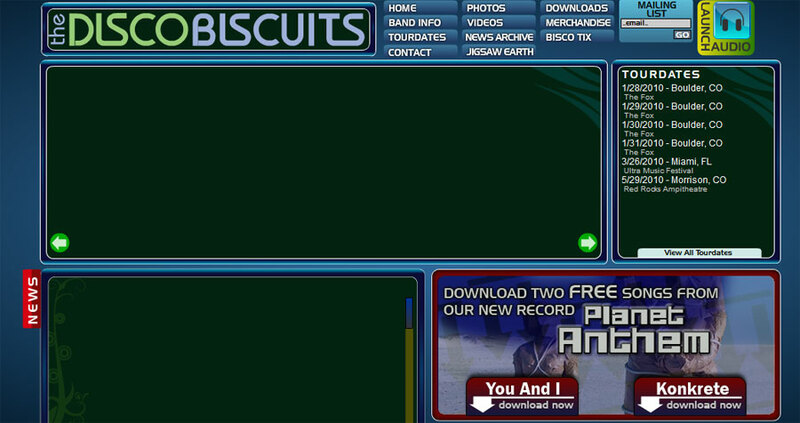 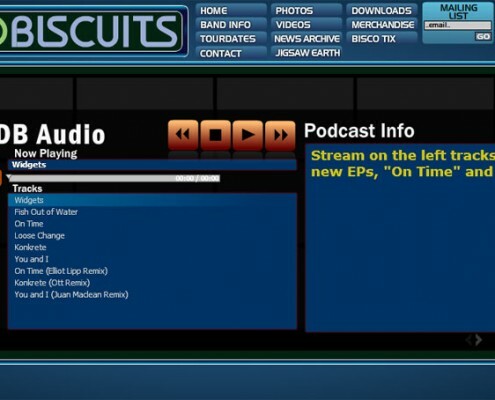 We have worked with The Disco Biscuits since 2003. 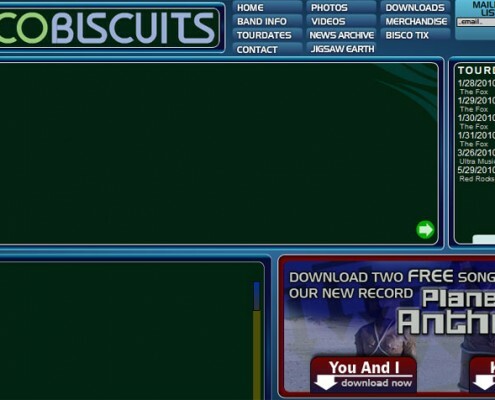 Work we have performed includes website design/development, banner ads, email marketing, print ads, flyers, posters, merchandise and more.